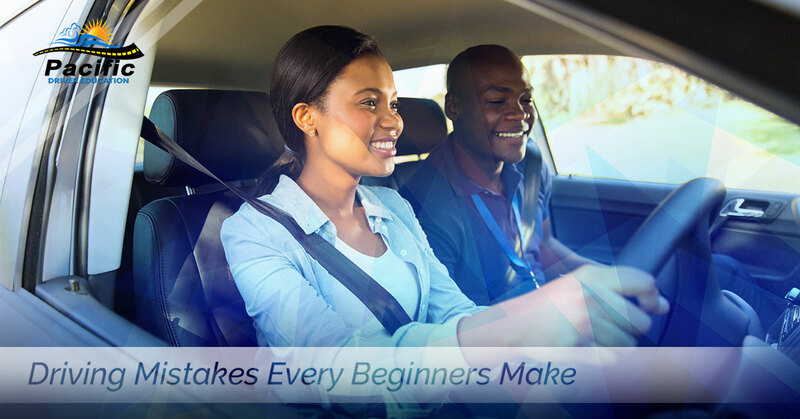 One of the reasons it is so important for beginning drivers to take lessons from professionals such as those who teach at our driving school in Portland Oregon is that doing so helps students develop good habits and confidence from the beginning. All too often, people learn to drive from people who have developed dangerous driving habits. This only passes such poor behaviors on to new generations of drivers. Our private driving lessons in Beaverton Oregon are designed to help you meet any challenge that you are bound to encounter on the road and to avoid the following mistakes that are all too common with inexperienced and improperly trained drivers. Distractions: A 2011 study from Virginia Tech concluded that distractions contribute to 80% of all collisions. Inexperienced drivers are often unable to manage the many distractions that are all around us such as cell phones, stereos, other passengers, etc. Driving takes focus and concentration on the task at hand. The ability to focus comes about as the result of proper training, experience and the use of common sense (such as not texting while driving). Improper freeway merging: Many beginners are terrified and unsure about how to merge onto the freeway from the entrance ramp and tend to stop before doing to. This is extremely dangerous. Beginners should develop the skills and confidence to merge correctly with freeway traffic. Following too closely: Many inexperienced drivers may not perceive this as a real danger but following too closely diminishes a driver’s reaction time in the event that the lead car has to stop suddenly. A good rule of thumb is the two-second rule whereby a driver should ideally stay at least two seconds behind any vehicle that is directly in front of his/her vehicle. Naturally, in inclement weather that distance should be increased. Not wearing a seat belt: Seat belts have been proven to increase a driver’s survivability during a crash in countless studies. Improperly adjusting the car: Every driver should go through a pre-trip routine of checking his/her mirrors, seats, seat belts, and steering wheels, and adjusting them to fit their body proportions. Doing so contributes greatly to driver safety. Many beginners neglect to make these last minute checks. Poor parallel parking skills: This skill is a challenge to many novice drivers but learning the proper parallel parking techniques helps to avoid damaging cars and property. It also widens a driver’s choice of where he/she can park. Driving while tired: Driving while drowsy delays reaction time and decreases awareness and is a recipe for disaster. Teens in particular tend to think that they are invincible and can meet all physical demands. In fact, all drivers should be well rested before setting out on the road as being fatigued increases the chance of accidents. Of course, there are many other mistakes that novice drivers make. These are just a few. At Pacific Driver Education we strive to instill in our students the confidence and skills that they will need when journeying out onto our roadways.